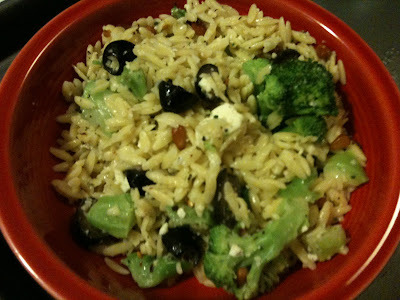 My husband claims he doesnt like orzo. Whenever he claims he doesnt like something (especially something so versatile) I take that as a challenge. I came across this recipe looking for a way to use up the leftover feta cheese in my fridge. The oil takes on the flavor of the toasty pine nuts and the crushed red pepper adds just a touch of heat. I usually dont like to take a chance with an unrated recipe, but goodness this one was worth it! Im already looking forward to eating it for lunch. .... and my husband ate a TON of it and loves it..... silly men! 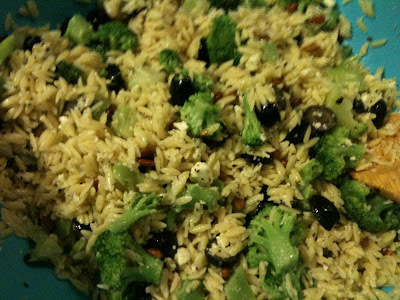 What a great looking side dish. It looks fresh and delicious.